The first whisky we are going to review is The XL Blend (Batch 1). This is a Scottish Blended Whisky from the Blended Whisky Company and has a volume of 46.2%. 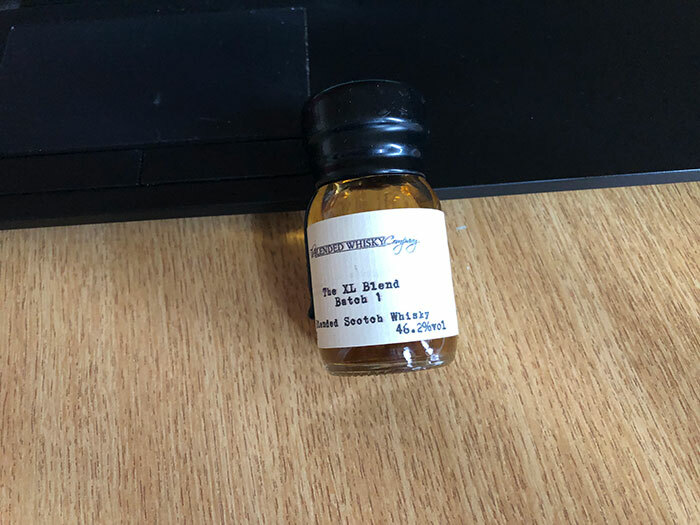 The whisky in this blend is at least 40 years old and is a real cracker of a blend. Crafted exclusively using whiskies aged for at least 40 years, The XL Blend is far more than the age the roman numerals suggest, it's undoubtedly 'extra large' in flavour too. Think rich, dried fruits and sweet brioche, topped with nuts and a long, smooth finish that lingers with notes of vanilla and oak. Only 1,000 bottles available worldwide. Available to pre-order now and to buy from 21st December. Nose: Vanilla, dried fruit and spice add depth and complexity. Palate: Nuts and brioche provide a savoury and rich flavour. Finish: Long smooth finish that lingers on with pronounced notes of vanilla and oak.